Queen Elizabeth-class aircraft carrier – money well spent? As the first of two Queen Elizabeth-class carriers are named the question remains whether the 65,000t ships are value for money or if our rapidly shrinking defence budget should have been focussed on other things? The carriers have been a long time coming. First conceived in the Strategic Defence Review (SDR) of 1998 a production contract was not signed for 10-years after the Labour government first delayed the programme adding to the cost and then the Coalition government switching back and forth between the F-35B and F-35C further adding to the cost. Whilst the vessels could prove to be extremely valuable assets it is unlikely they will ever be used to their maximum capacity with the RAF operating the F-35B and reduced numbers of the aircraft being acquired. Have we invested over £6bn on glorified helicopter carriers? A decision about the future of the second ship has also yet to be made. 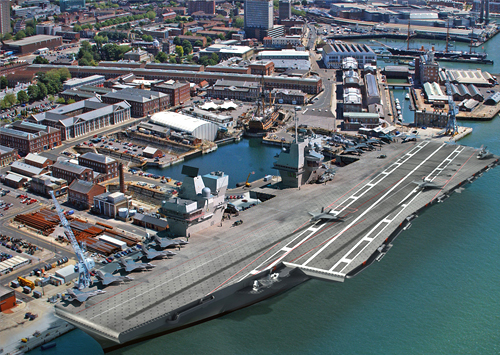 The construction of the carriers has been impressive, but should the Royal Navy have opted for something different? It has been quite the year for the Shephard Media editorial team and we have all certainly racked up the air miles. We’ve also expanded the team, welcoming Alice Budge and Tim Martin on board as new reporters. Expanding our presence in the US we’ve also named Ashley Roque as North American Editor. Now there’s time to take a look back at some of the news highlights from 2017 across the defence and aerospace world. The year started off with the launch of a new helicopter concept in March as Bell Helicopter revealed the FCX-001 at Heli-Expo in Dallas. The new medium twin-sized aircraft, positioned as slightly bigger than the Bell 412 in length and in width. It will be interesting to see how Bell incorporates technologies from the FCX-001 into future designs and new aircraft. Meanwhile, Turkish Aerospace Industries was flaunting its T129 at every opportunity, with appearances at Paris Air Show, Dubai Air Show and Defense and Security in Bangkok. Speaking to Shephard at the Paris Air Show, the manufacturer of the T129 Atak and the T625 multirole helicopter said it is looking towards next year and considering the introduction of new platforms. Meanwhile at sea, the UK designated 2017 as the year of the Royal Navy. With the first steel cutting of the Type 26 BAE Systems and the UK Government are now looking to export the vessel to the likes of Canada. The government is also focusing its efforts on export with the new and ongoing Type 31e (e for export, who’d have guessed) which will see the Royal Navy commission some new light frigates. Of course we could not ignore the developments of the Queen Elizabeth-class carrier. As the first of the two vessels has been commissioned questions surround the spend on the vessels and what this means for the future of shipbuilding. In the unmanned arena there has been progress on a couple of major military efforts, the first being the US Navy’s desire for a tanker refuelling UAV, known as the MQ-25 Stingray, in an unexpected announcement Northrop Grumman said it would no longer pursue the programme. Despite this Boeing recently unveiled its design for the programme. On the ground the US Army continues to look for a load carrying robot under its Squad Multipurpose Equipment Transport (SMET) programme. 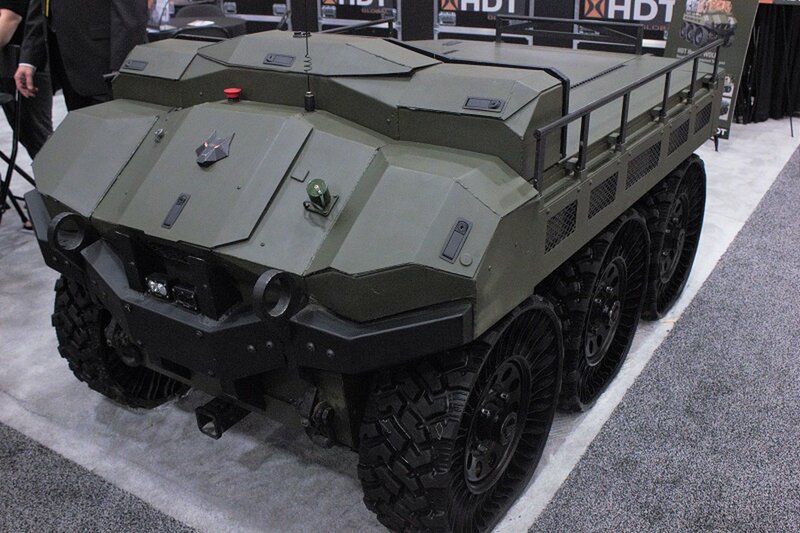 The army ended the year by announcing that four UGVs would enter Phase II of SMET, which will begin in 2018. You can read full details of the final four here. This year the team made its annual jaunt over the Washington DC for the AUSA Annual Meeting in October. Focuses for the US Army this year included the evolution of active protection systems with the service looking to speed up the acquisition of such a system for the in-service M1A2 Abrams tank. Meanwhile, the French Army continued its revolution as it continues to make gains with the Scorpion modernisation programme. 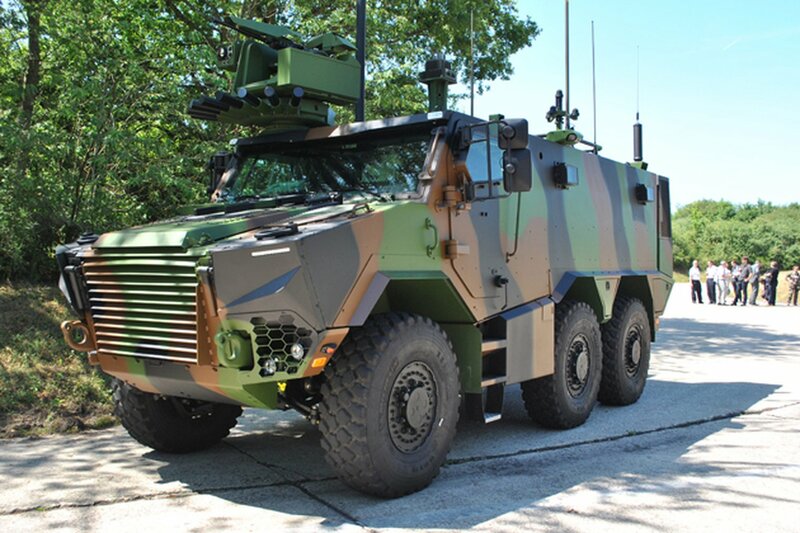 In the summer, Shephard got a close up look of the prototype during a visit to Nexter Systems facility in Satory, near Paris. Speaking of revolution, a quiet one may be underway in the defence industry as some of the largest players are beginning to adopt blockchain technology. This year saw the digital ledger technology increasingly being touted as the answer to challenges faced by ever more data-reliant and connected military establishments. In the simulation and training arena we saw Northrop Grumman drop out of another programme, the US Air Force’s T-X effort to find an Advanced Pilot Training (APT) aircraft. Boeing, Leonardo DRS and Lockheed Martin remain in the race and 2018 should bring further developments. Of course this just skims the surface of what the team has covered during 2017 and the events we have attended. All of the news content, magazines and videos from 2017 can of course be found on the Shephard Media website and we look forward to seeing you in 2018. As Brexit negotiations rumble on in Brussels, Neil Thompson reported on the recent European Defence Industry Summit (EDIS). Designed to bring together speakers to discuss Europe’s security situation, European representatives were noticeably missing, with US-based Raytheon left to represent the European defence industry’s interests. Obstacles to realising greater integration of European defence industries include funding, transparency with NATO and how to facilitate greater interoperability. Despite the pomp and circumstance of the commissioning of HMS Queen Elizabeth, the future of UK shipbuilding is at a juncture. As HMS Queen Elizabeth enters service and construction on the Prince of Wales nears completion the challenge will be to maintain the skills developed throughout the programme. Another challenge, The Clarence argues, will be to retain the manpower and funds necessary to maintain and run the carriers. The Royal Navy is not the only maritime force to welcome a new ship this week, the Pakistan Maritime Security Agency launched its fourth 600t Hingol-class maritime patrol vessel. The armed boat, which began construction in May 2016, will help patrol Pakistan’s EEZ, undertake maritime security and perform search and rescue missions. Meanwhile Michal Jarocki reports from Warsaw on the renaissance of the Polish Navy as it celebrates its 99th anniversary with a commissioning ceremony for the ORP Ormoran (601) minehunter. The vessel is the first warship in over 20 years to be designed and built in Poland. The Canadian Surface Combat project has not seen such successes this week after encountering its latest rough patch. The Canadian government publicly rejected proposals not submitted through the formal process. The announcement followed a Naval Group statement in which it proposed an ‘off-the-shelf’ solution based on the FREMM frigate design to the Canadian government. The Indian military’s desire for UAVs will be boosted with further RfPs as the country aims for integrated army, navy and air force purchases of MALE and HALE UAVs. This demand is likely to be met through new industry activity, after Dynamic Technologies signed a cooperation agreement with IAI for the production, assembly and support of mini-UAVs in India. Meanwhile, Poland has become the latest buyer of WB Group’s Warmate loitering munition. The UAS has received considerable interest from customers across the world and has already been used in combat. The Polish order includes 100 loitering munitions with deliveries expected to being in the coming weeks. Poland is not only in search of UAS, but is also perceived as a prime export market for Bell Helicopter’s AH-1ZViper. Bell is continuing its efforts to convince the Polish government that it will successfully execute the Polish military’s attack helicopter programme ‘Kruk’. Bell is also offering its UH-1Y Venom to fulfil the Polish Army’s requirement for a modern, multirole utility helicopter. The AH-64E Apache Guardian is tipped to reach ‘historically high’ production figures of up to 100 aircraft a year by 2021. The projection is based on a ramping up of international orders which would see production rise from its current level of 70 platforms a year. Boeing expects to close a number of international sales within the next six months. ​This week procurement, modernisation and deliveries dominate European defence news as the Shephard team gears up for MSPO, which kicks off in Poland on 5 September. Turning to modernisation first, the Polish Army is embarking on a decade-long effort to modernise its artillery units, making them a pillar of the nation’s security. One of the most ambitious programmes is the procurement of Krab 155mm tracked self-propelled howitzers. Poland is also investing in an upgrade of its fleet of 4×4 light all-terrain vehicles with a number of procurement programmes. The aim is to replace legacy platforms with new vehicles within the next few years, which will better serve the needs of infantry, airborne, reconnaissance and special forces units. Meanwhile, Romania is pursuing large-scale modernisation programmes, following the Romanian Supreme Council for National Defence’s decision to begin large-scale redevelopment of the country’s armed forces with a funding boost of €9.8 billion ($11.69 billion). Find Shephard’s full MSPO coverage on the show news site. In rotary news this week, Pakistan’s Army Aviation Corps has received four Mi-35M attack helicopters after ordering the rotorcraft in a $153 million deal in August 2015. Pakistan aircrews are currently training on the aircraft, although it remains unclear what armaments and munitions Pakistan has opted for. Across the border in India, the country’s fledgling helicopter industry received some reassuring news this week as the Ministry of Civil Aviation promoted helicopter operations in the second bidding phase for the Regional Connectivity Scheme, an attempt to encourage connectivity to smaller and remote towns. However, helicopter news from Poland is not so up-beat as its helicopter purchases continue, slowly. Despite being labelled as an ‘urgent requirement’, the second iteration of the Polish tender to meet urgent requirements for new helicopters for ASW/SAR and special operations forces has proved to be a prolonged process. As the submarine market expands, Saab is seeking to tap into this growth as it reveals its new submarine models. Saab Kockums is predicting a demand for 80 new submarines to be replaced over the next 15 years. 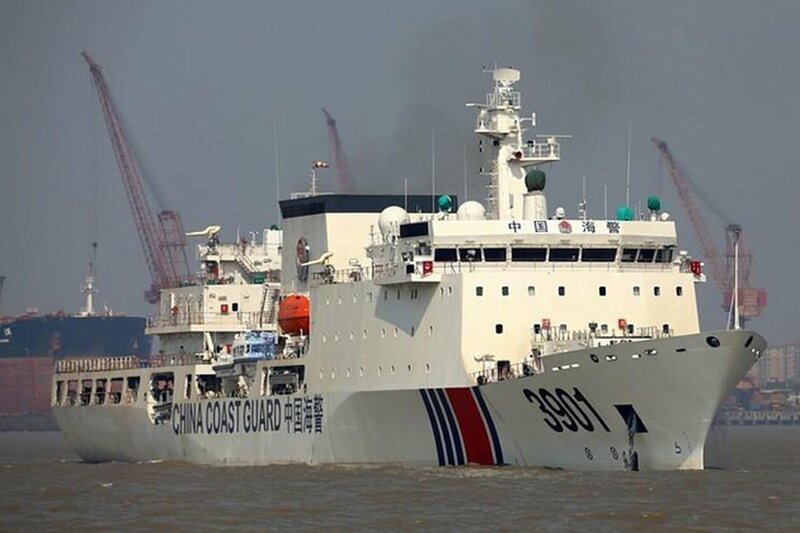 Closer to shore, Taiwan’s coast guard outlined a ten-year $1.7 billion buildup plan. The plan will see 141 cutters, including 12 coast guard versions of the Tuo Chiang-class catamaran joint the fleet by 2027. According to Charles Au, the plan underscores Tsai Ing-wen administration’s intention to accelerate the capability of Taiwan’s maritime forces in the belief that the coast guard will serve as an auxiliary navy beneath the command of the Republic of China Navy (ROCN) in time of war. And on a visit to the Gulf the UK Defence Secretary secured the use of facilities at Duqm Port, Oman, as completion of the UK Joint Logistics Support Base at the port nears. The port provides Britain with a strategic asset in the Middle East and boasts dry dock facilities capable of accommodating submarines and HMS Queen Elizabeth. Gordon Arthur reported on Australia’s embarrassing amphibious gap as it struggles to deliver its M1A1 AIM Abrams main battle tanks (MBT) ashore from the Royal Australian Navy’s Canberra-class landing helicopter dock (LHD) ships. Gordon revealed that the LCM-1E landing craft embarked aboard the LHDs is struggling to handle the weight of the Abrams MBT. Alarmed by Kim Jong-un’s shenanigans in North Korea, such as the launch of a missile over Japan, the South Korean government in Seoul has announced a proposed boost to defence spending next year by 6.9%. Over on the blog, Grant Turnbull, editor of Digital Battlespace, takes a look at ballistic missile defence technologies, which are receiving significant investment from the US and NATO. However these systems are not free of costs. Read more here. Finally, guest contributor to the blog, Sam Bocetta, takes an in depth look at the recent US-Japanese military exercise, Northern Viper, which underlined the close relationship between the US and Japanese militaries.